The EU-Mercosur trade agreement is currently under negotiation between the European Union (EU) and Mercosur countries of Argentina, Brazil, Paraguay and Uruguay. In the course of these negotiations the EU has proposed harmful intellectual property (IP) provisions that could potentially raise treatment costs by creating new monopolies and delaying the entry of affordable generics in the market. 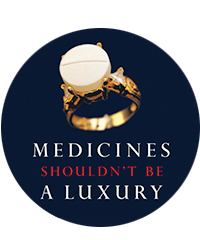 This briefing note outlines proposed provisions in the EU-Mercosur trade agreement that would have a harmful impact on access to affordable medicines.